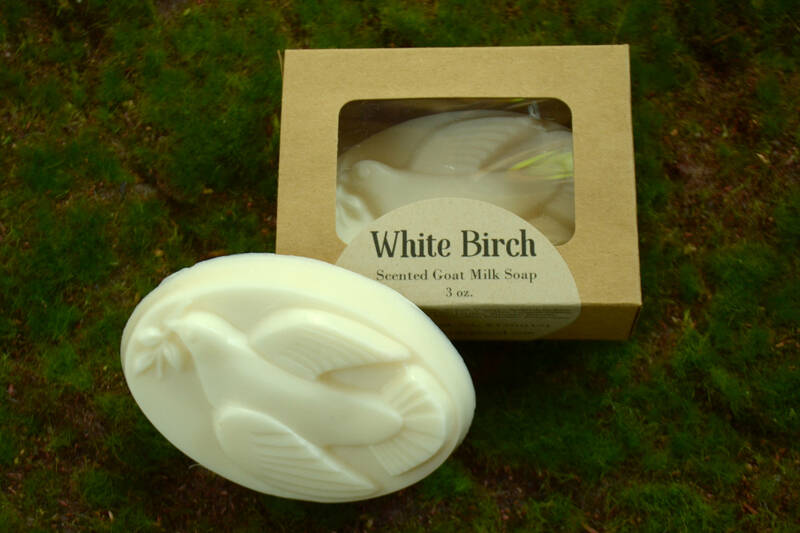 Skin-loving, luxurious and beautiful goat milk soap with an earthy white bird scent. 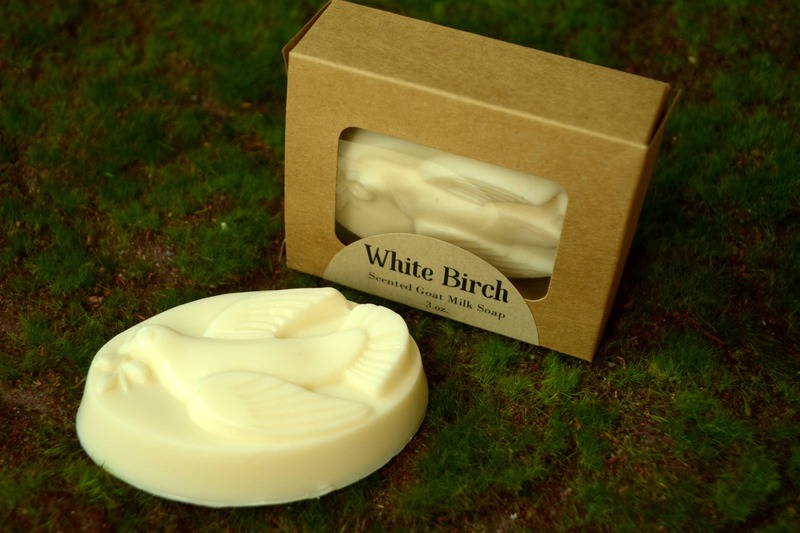 The perfect compliment to holiday home décor and a wonderful welcome for your traveling guests. 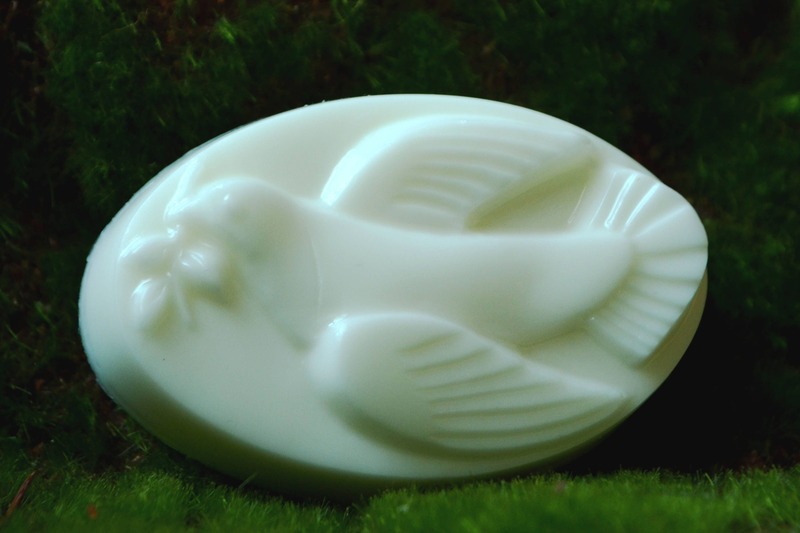 This bar bears the image of the dove of peace, comes in a creamy, ivory white with a fragrance blend enriched with eucalyptus, pine needles and vanilla. Bar size: 3.625" x 2.5" x 1"